What Do Our Reports Consist Of? The report will be delivered in 2-3 business days. The refrigerated warehousing and storage market consists of sales of refrigerated warehousing and storage services by entities (organizations, sole traders and partnerships) that operate refrigerated warehousing and storage facilities. These establishments provide services such as blast freezing, tempering and modified atmosphere storage services. Major players in the global refrigerated warehousing and storage market include Americold Logistics, Lineage Logistics, Preferred Freezer Services, John Swire, and Agro Merchants. The refrigerated warehousing and storage market size is expected to significantly grow at a CAGR of more than 6% during the forecast period. The growth in the refrigerated warehousing and storage market is due to the increased demand for frozen foods. However, the market for refrigerated warehousing and storage is expected to face certain restraints from several factors such as increasing operational costs. The global refrigerated warehousing and storage market is further segmented based on type and geography. By Type - The refrigerated warehousing and storage market is segmented into the cold storage market, and the frozen storage market. By Geography - The global refrigerated warehousing and storage is segmented into North America, South America, Asia-Pacific, Eastern Europe, Western Europe, Middle East and Africa. 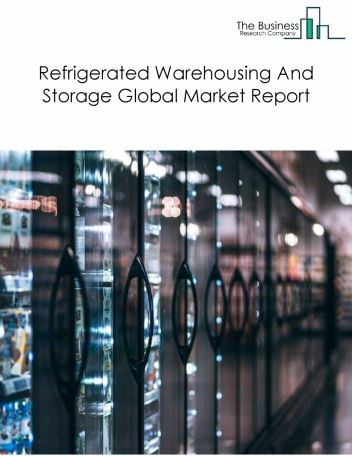 Among these regions, Asia-Pacific’s refrigerated warehousing and storage market accounts for the largest share in the global refrigerated warehousing and storage market. Energy-efficient practices are becoming a major trend in refrigerated warehousing and storage industry. In North America, companies are using CO2 Cascade Systems, where two refrigerants are used in one refrigeration system, and one refrigerant cools the other refrigerant. The vendors in the industry are choosing various tools and strategies for the efficient use of energy. Potential Opportunities in the Refrigerated Warehousing And Storage Market With specialized value-added services being provided by warehouse operators, the scope and potential for the global refrigerated warehousing and storage market is expected to significantly rise in the forecast period. The air transportation services market consists of sales of air transportation services by entities (organizations, sole traders and partnerships) that use aircraft, such as airplanes and helicopters to provide air transportation services of passengers and/or cargo. 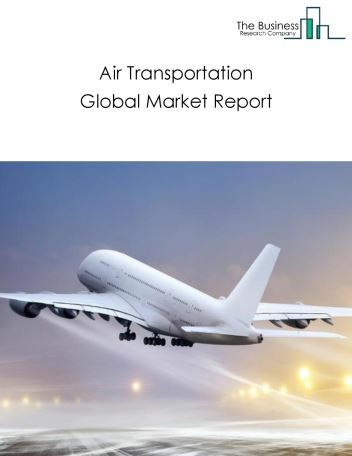 It includes services offered by both scheduled and nonscheduled air carriers, but scenic and sightseeing air transportation and air courier services are not included within the air transportation market. 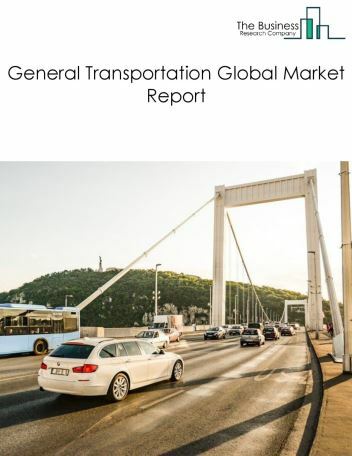 The general transportation services market consists of sales of general transportation services by entities (organizations, sole traders and partnerships) that provide local general freight trucking. General freight establishments handle a wide variety of commodities, generally palletized and transported in a container or van trailer. 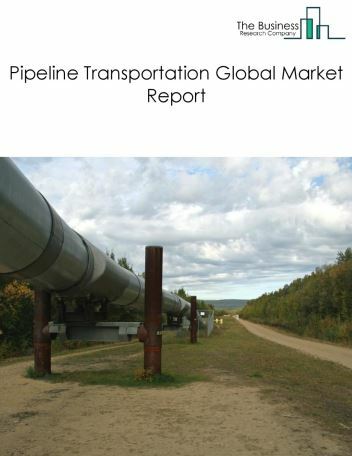 The pipeline transportation market consists of sales of pipeline transportation services, by entities (organizations, sole traders and partnerships) that use transmission pipelines to transport products, such as crude oil, natural gas, refined petroleum products, and slurry. This industry includes the storage of natural gas because the storage is usually done by the pipeline establishment and because a pipeline is inherently a network in which all the nodes are interdependent. 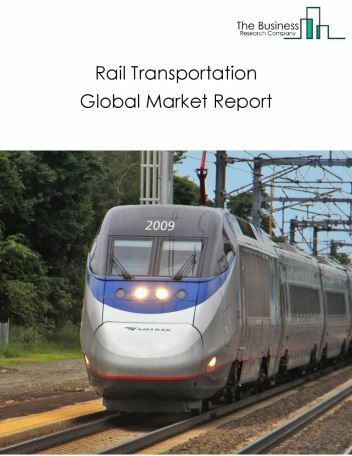 The rail transportation market consists of sales of rail transportation services by entities (organizations, sole traders and partnerships) that use trains to provide transport for passengers and/or cargo. Railroads operate either on networks with physical facilities, labour forces, and equipment spread over a wide geographic area, or operate over a short distance on a local rail line. This market excludes street railroads, commuter rail, urban rapid transit, and scenic and sightseeing train transportation. 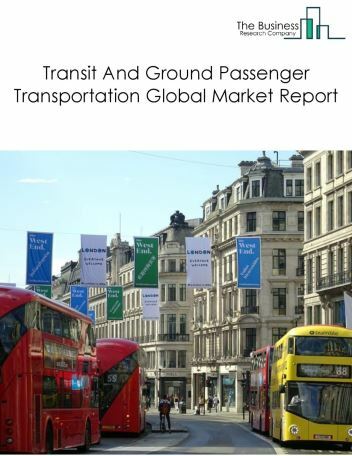 The transit and ground passenger transportation market consist of sales of transit and ground passenger transportation services by entities (organizations, sole traders and partnerships) that provide a variety of passenger transportation services, such as urban transit systems, chartered buses, school buses, and interurban bus transportation. 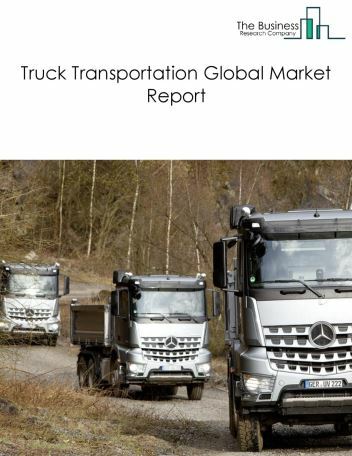 The truck transportation market consists of sales of truck transportation services by entities (organizations, sole traders and partnerships) that provide over-the-road transportation of cargo using motor vehicles, such as trucks and tractor trailers. This market does not include household and office goods transportation services, which is a specialized industry. 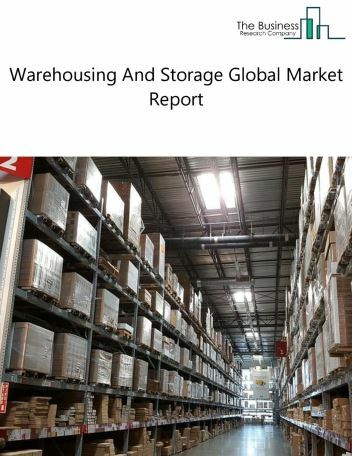 The warehousing and storage market consist of sales of warehousing and storage services by entities (organizations, sole traders and partnerships) that operate warehousing and storage facilities for bonded merchandize, general merchandize, refrigerated goods and other warehouse products. These establishments generally handle goods in containers, such as boxes, barrels, and/or drums, using equipment, such as forklifts, pallets, and racks. They are not specialized in handling bulk products of any particular type, size, or quantity of goods or products. 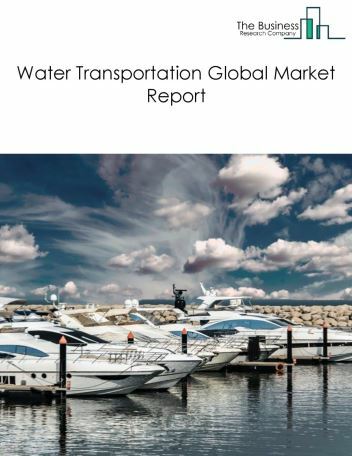 The water transportation market consists of sales of water transportation services by entities (organizations, sole traders and partnerships) that provide water transportation of passengers and cargo using watercraft, such as ships, barges, and boats.